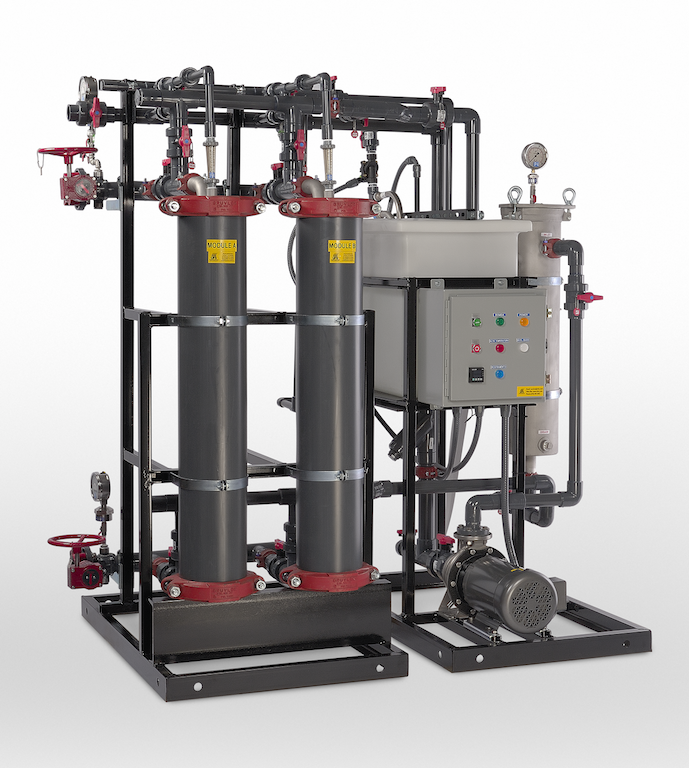 What is Ultrafiltration? In the context of electrodeposition paint, Ultrafiltration is a process for separating a portion of the low molecular weight component of the paint bath from the main paint stream. This low molecular weight resin, water, solvent, solubilizer, and dissolved salts that accumulate as a result of pretreatment. Allow for recovery of dragged out paint without affecting the chemistry of the paint bath. Provide a cost effective method to remove dissolved salts from the paint bath for conductivity control. Using ultrafilter permeate for rinsing, all three of the objectives can be met. Using ultrafilter permeate for rinsing, all three of the objectives can be met. By rinsing the part with permeate and counter-flowing the rinse back to the paint tank, rinsed paint solids migrate back to the paint tank. Since the rinse medium is an actual component of the paint tank no compromise in paint bath chemistry occurs. The paint recovery effectiveness and the finish on the rinsed part are related to the concentration of paint solids in the rinse tank(s). The concentration of paint solids in the rinse tank is directly related to the volume of permeate produced . Therefore, the more permeate produced, the higher the paint recovery and the better the quality of the surface finish of the rinsed part. A cost effective method of removing dissolved salts from the paint bath is to put a portion of the permeate to drain. By doing this salt is removed, conductivity is controlled, and the only losses are 0.2% - 0.3% of low molecular weight resins.